SPECIAL MOMENTS START WITH SIMPLE PLEASURES. Whether it’s a talk over tea, a catch-up with a side of coffee, or an encounter with a cupcake or two. VANOIR Sydney at famous five ways, 219 Glenmore rd, Paddington, will show you a marvellous time. We’ll add just the right flavour to your day because we know that a community can be built over a cup of tea and that great ideas happen over a cupcake affair. So savour that beautiful sweet moment, soak up the atmosphere and stay a while. 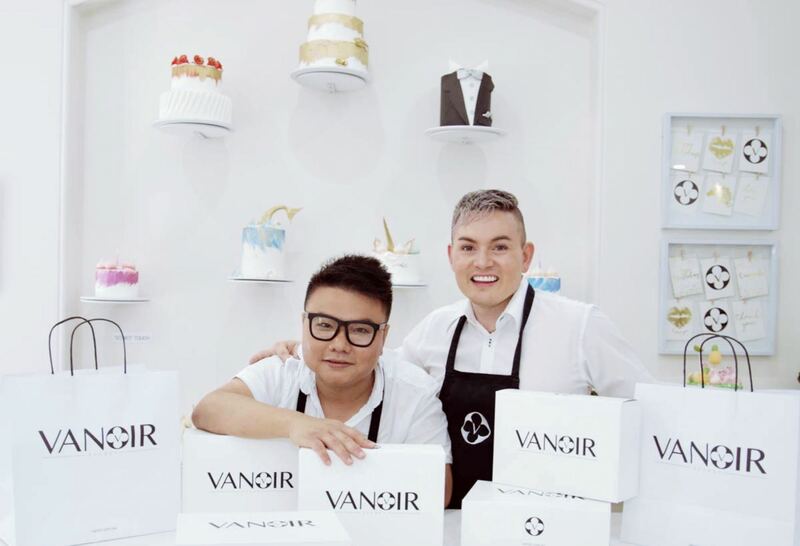 VANOIR Sydney is the brainchild of 2 creative driven best friends. Julian, art director & entrepreneur, along with Orlando Sanpo, former Interior Designer turned Cake Designer and founder of Black Velvet Sydney. Together they have collaborated to turn the ordinary cupcake into a piece of edible art. VANOIR Cupcakes are handcrafted from the finest ingredients, including pure French vanilla, Venezuelan cocoa chocolate, free range eggs, fresh wild berries and natural citrus zests. The creators have invested years in understanding the art & science of baking, the result of which is a moist and fluffy cupcake topped with a buttercream frosting that is smooth, lightly sweet and melts in your mouth. Our hard effort has recently achieved the award of Best of Sydney 2017 – in cupcakes and cakes. Our cupcakes has the following celebrities addicted to them, celebrities that include the likes of Jessica Mauboy, Delta Goodrem, Samantha Jade, Dami In & Guy Sebastian. CORPORATE | CAKES | CUPCAKES | WEDDINGS | EVENTS | GIFTS | CAKE POPS.